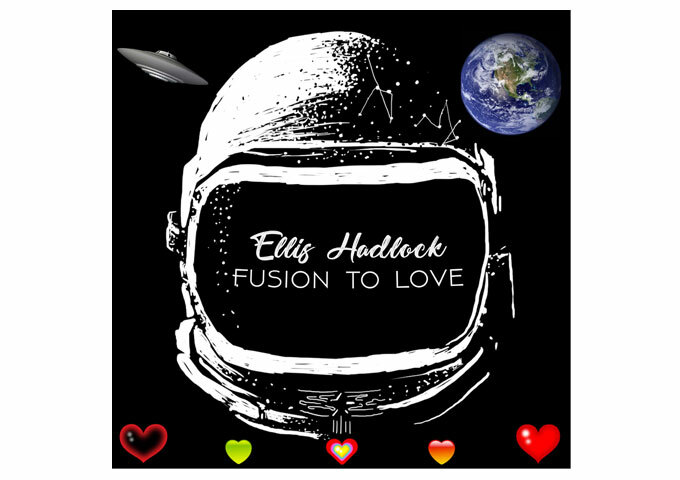 “Fusion to Love”, the latest album by Ellis Hadlock, is seven tracks of layered pulses, melodic vibrancies, and foundational grooves that evoke a human expression of awe-inspiring vastness that stretches the very fabric of imagination. It is a beautiful and powerful expression of friendship, love and the artistic spirit. On this new offering, composer and creative force, Hadlock once again expertly navigates the fine line between poignancy and elation with his trademark melodies, chord structures, and instrumentation. Fans of previous Hadlock albums will not be disappointed. The classic ambient spaces are certainly present, and Hadlock’s subtle rhythmic flair and strong melodic sensibilities are in full bloom on this effort. There are also some stronger, more straightforward elements such as electric guitars, drums and orchestral programming that bring a satisfying intensity to key moments of the album. While “Fusion to Love” holds many mysteries, its music still enlightens. Ellis Hadlock aims for the high horizons of the spirit in his recordings, and his recent albums of contemporary instrumentals have helped to raise the easy-listening genre from mere entertainment to an enriching art form. It is possible that some consumers will use the recording as background music, but there is a depth and complexity to this album that makes active listening a most rewarding experience – even more so in isolation where it easily stands on its own. In spare and unhurried arrangements Hadlock explores the magic of spatial depths. With generous applications of reverb and echo an airy halo seems to surround each note. Mostly paced at an amble Hadlock does mix up moods with tempo changes. Slow crescendos move the atmosphere from the quiet impassivity of rest into a more potent and beautifully crafted zone of moody strings, thumping drums, twanging guitar, and elegant piano tones. On a few tracks he combines synthesized and piano sounds, which results in ethereally original melodic lines – something difficult to achieve in such a crowded field. Sometimes artists may create as if they were on fire, and Ellis Hadlock is no less passionate. Yet while he makes sure his work is not fully ablaze, he does indeed allow it to smolder. The first half of the album is dedicated to more drifting pastoral soundscapes while the latter half encompasses more of Hadlock’s rhythmic side. All-round though, he has tapped into a wellspring of inspiration that has let loose a flood of creativity and innovation. By putting his rich piano against a backdrop of shimmering textures and punctuated by skittering rhythms, he achieves a pluralistic impact. The listener can’t help but smile with childlike delight, yet the warmth of the music permeates the soul with a calming sense of contentment. This happens on the titular track, “Fusion to Love”, as well as on other standouts like “Space Trippy”. 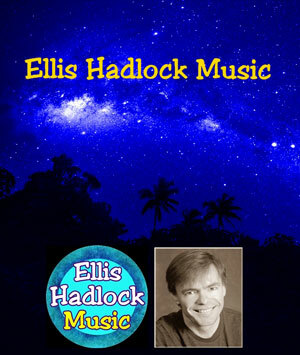 Spotlighting tracks on the album is difficult because describing the music itself would require a fair amount of detail, as Ellis Hadlock features a wide assortment rhythms, sounds and melodic structure. And not all songs have rhythms either; the best among these being “Royal Time” and “Beauty In Us”. On this album, Ellis Hadlock enters into a sound universe where everything becomes possible, even the solidification of spectral and extraterrestrial ambiences which is the spearhead of a universe that few are able to approach with such a temperate attitude.